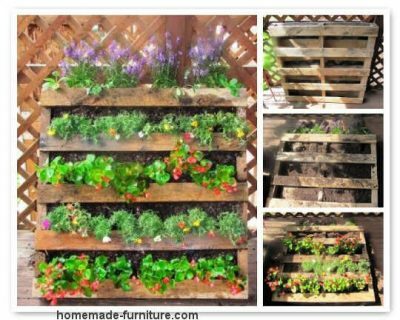 ﻿ Vertical garden examples and planters from reclaimed wood and pallets. Home made planters from repurposed wood, vertical positioned pallets to make living wall vertical garden divisions. Evergreen urban garden design. Vertical garden examples and planters from reclaimed wood and pallets. 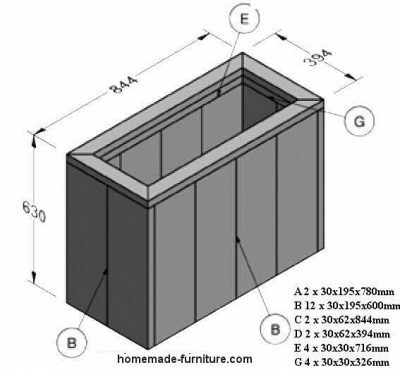 Free furniture plans » Living wall rack for plants. 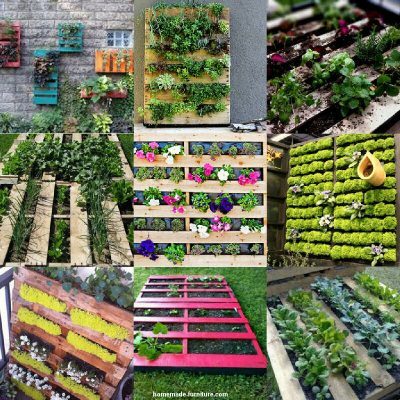 » Vertical gardens made from pallets and reclaimed wood. Evergreen living wall examples for repurposed wood. How to make a vertical garden wall from pallets. Decide what should be the visible side of the living wall. Remove every other plank from this front side, to obtain space for planting some small plants. Attach a plank at the bottom of each level, to prevent soil falling downwards. Close the backside and all sides of the pallet with more reclaimed planks. Alternatively you could use rootcloth for this closure, but the soil will dry out sooner. 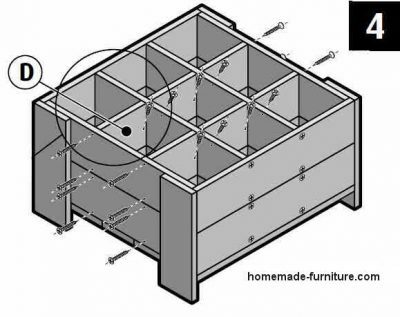 Screw a couple of eyelets in the backside of the pallet, for attachment to a wall. This attachment will prevent the living wall from tipping forward and falling over. Lay the pallet flat on the ground and fill with good soil for plant pots. Water the soil and compress with your hands. Add more soil, then water and compress again. 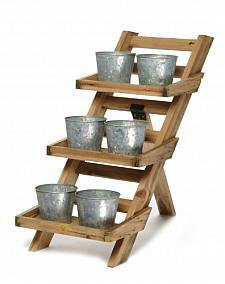 Now place the plant rack in its position, against a wall or as a division between gardens. Make sure that the living wall can not move or worse, fall over. And now, finally, it is time to get some plants growing in the wall. You could start off with seeds for fast growing perrenial plants. But probably you already have some previously grown plants or cuttings to plant in this homemade vertical garden. These examples were inspired by our Dutch DIY examples for planters and living walls. 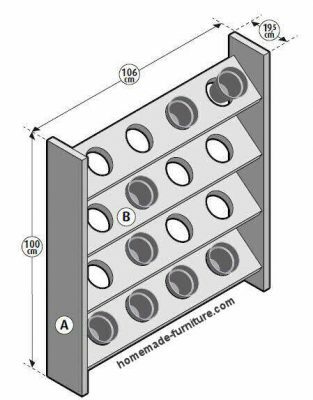 Also have a look at our examples to make a planter for 16 pots on four levels. Rack for sixteen plants in a living wall.